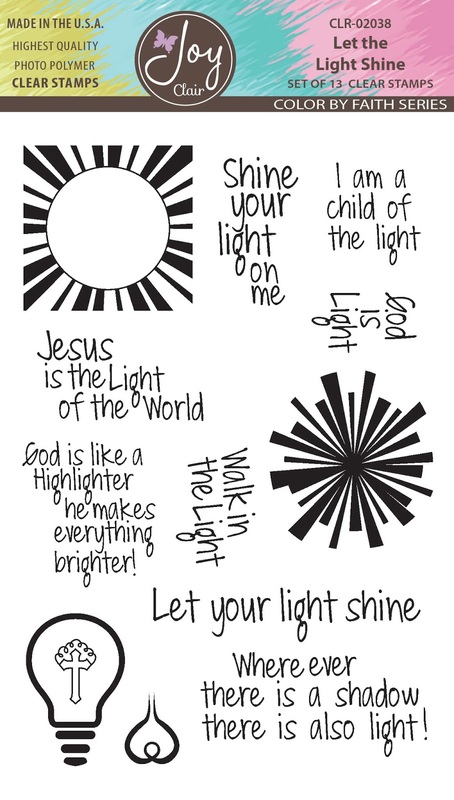 Today is the last of the February Release and I am bringing you the next of the Color By Faith line by Joy Clair Stamps. Let Your Light Shine makes me think of cheery and bright, so today's project reflects that feeling. 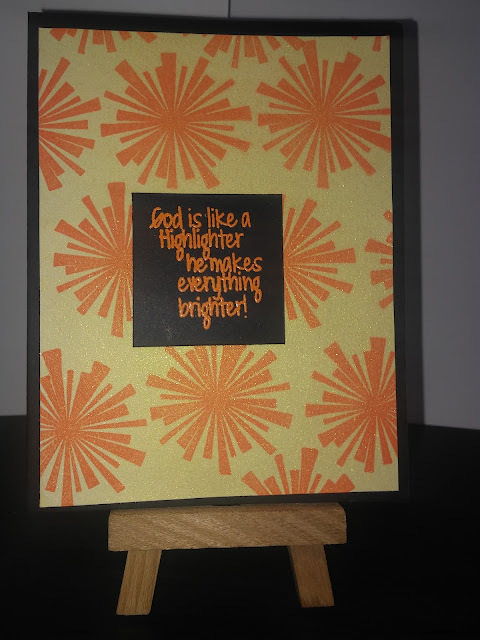 Using AMuse Studio's Orange pigment ink I stamped out the background and let it dry, I then used versamark to stamp the sentiment on black card stock and heat embossed with neon orange Whispers embossing powder. Once the background was dry, I used my Tattered Angels Lemon Zest shimmer spray to add bling. This was my first time using the shimmer sprays, and I will be using them again in the future. I hope you enjoyed this project and please remember to hit up the Joy Clair blog to see the rest of the design teams projects for this great set.